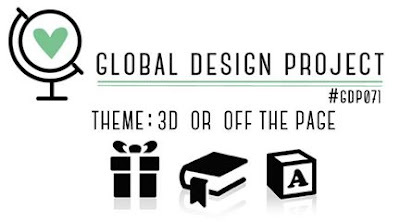 I have a new kind of class coming up tomorrow night, one I haven't offered before, called Tea and 3D. Although there will be more than tea to drink, (tea just happens to rhyme with 3D) the focus of the class will be making items that are not necessarily cards, but have some dimension to them. For example, our two projects tomorrow night will be a Shadowbox 3D Frame as you can see above, and a holder for making a gift of about 8 - 10 of your own hand stamped greeting cards to someone. I was excited to pair the Falling in Love Designer Series Paper with the Beautiful You stamp set, especially for a decor item. Some of the sentiments from Beautiful You make great wall decor, as do most of the images. 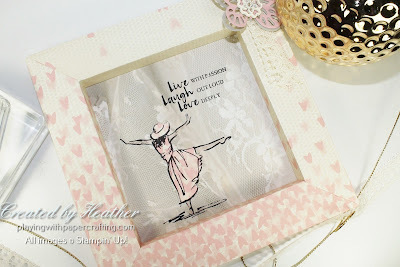 There are lots of patterns in the Falling in Love Designer Series Paper that would work for this project, but this was my favourite, because you could make the frame with the falling hearts design and use the flowing lace for the inside. I like the way it looks 3 dimensional, like the woman is dancing through a lace curtain. How you make the shadowbox frame is a matter for me to teach in my class and if you'd like to find out how simple it is, please come on out to the class if you're in the area. It does require a 12" x 12" piece of DSP however. I stamped the sentiment and the image from Beautiful You on the inside of the frame with Basic Black Archival Ink and I stamped the image once again on a piece of one of the corners that I cut out of the DSP while making the frame. I fussy cut the dress and hat only from the DSP and glued it on the stamped image inside the frame being careful to match the stamped lines. It makes such a great fabric design for the dress and hat. 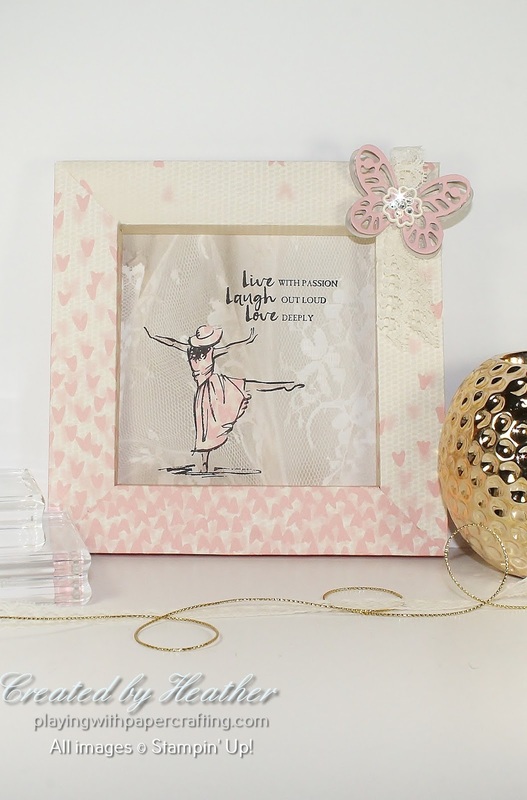 The butterfly embellishments on the frame, (which, you'll notice, are off the frame/page) are die cut with the Bold Butterfly Framelits from Blushing Bride and Sahara Sand cardstock. Some Very Vanilla Lace Trim and a Falling in Love Embellishment add the finishing touches. You could hang this on a wall or place it on or in a bookcase or shelf for decor purposes. It would make a great gift.